Are Motorhead the least pretentious band on the rock circuit? Certainly the film profile of British musician Ian Kilmister, known worldwide by his adoring fans as the rock icon Lemmy, gives that impression. This rockumentary, which was directed by Greg Olliver and Wes Orshoski over a three year period and shot on a combination of 16mm film and HD video footage, traces the mans career from some forgotten sixties beat groups to his rebirth as a heavy metal bassist and vocalist initially in the space/acid rock band Hawkwind whose single Silver Machine reached number 3 in the UK charts in 1972. 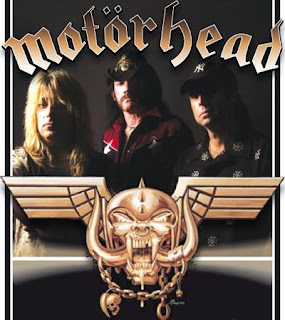 Following his sacking in 1975 for “erratic behaviour that went to far” or as Lemmy put it “doing the wrong drugs” He immediately formed the band he still fronts today, Motorhead. The film features interviews and live footage of Lemmy playing with the current Motorhead line up of Phil Campbell and Mikkey Dee, and guesting with other famous heavy rock names including Dave Grohi, Metallica and The Damned. This 65 year old rocker, who has ignored so many music genre’s to keep playing the music he loves, my not be everyone’s favourite but you got to admire his chemical capacity and his stamina. Rock on Lemmy Kilmister.